I saw Dima new years eve, which was wonderful. When I aked how he was, he understood me & answered! when dima stayed w/us during the summer, just as my stroke was once new to my kids, things w/me were all new to dima, so, just as my kids used to do, dima cheered when i came along, & if i rang my bell he responded lightening fast! he even would guess my needs, & offer things b4 i asked 4 them. But what really got me down, was thinking how now dima was with a “normal” mom, and there was no way I could “compete” w/that (not that it was a competition, but more like once he was around what a “normal” mom could do, he’d forget all about me, & not need me, or something.) It didn’t help that at the airport, everyone, except me got a hug upon their arrival. I tried my best to not take it personally—my dumb chair makes it awkward to give & receive hugs—but, nonetheless, I was sad! Sunday, 12/22, mk brought dima to our home for a few hours. Those few hours totally altered how I see things! When dima saw me, he came over quickly to hug, kiss my cheek, & say hello. L8r, he happily sat by me while we played cards (while mk prepared food), & when food was served, he was all too happy to help me! It was as though he actually missed helping & serving me! I realized, the “normal” mom fills different needs, yes, but I DO TOO, & it comforted me to realize that EVERYONE, even me, has a unique role to play. 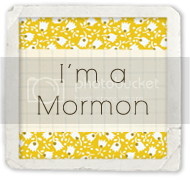 ← HOW ARE CHRIST’S SACRIFICE & MY SPEECH RELATED?